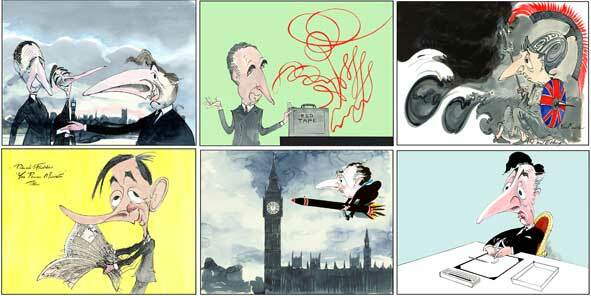 A wonderful set of 6 prints from Gerald's illustrations of the Yes Minister and Yes Prime Minister television series. Each print is 21cm x 29cm. The cost of each individual print at this size via our web site is £100, but buying the set offers a saving of £110. Prints are all hand signed by Gerald Scarfe.